Ha, that's why he was looking familiar. Will white Woz subdue his powers by transforming into Kamen Rider Chicken ? With the name Geiz Revive it makes me think he will die first. Which if that is the case I get the feeling White Woz might try to kill Geiz. 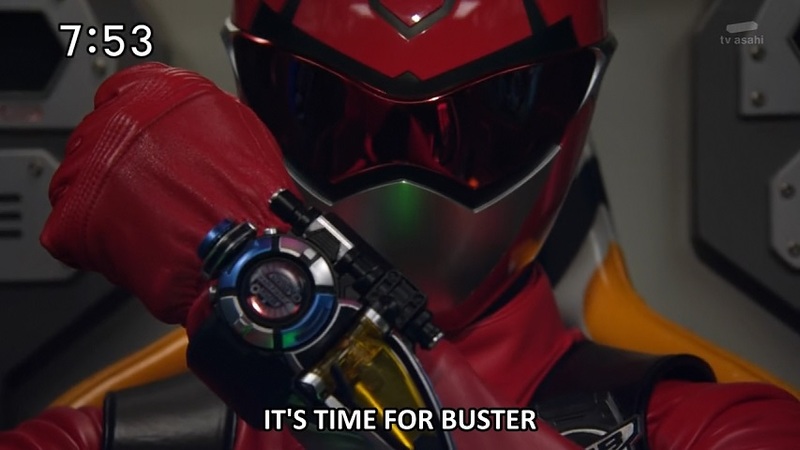 Oh yeah before I forget, if the Time Jackers could stop time and direct the riders' attacks at each other then why the hell have they not been doing that before? So far only the purple Time Jacker seems to have a point. Well hopefully they will drop a reason for why the time jackers just do not abuse their time freeze in order to win. But it is not exactly uncommon in toku shows for villain to do this so I am not expecting them to say anything either. Overall the episode was fine, but I feel like judging both episodes as one instead of only the first half of the current story is better, dear lord I hope they only decided for the two episode plots for this season so they could plan better around actor time tables. Quiz's powers are just so laughable. "I'm going to perform a Rider kick, will this hit? Yes or No?" Of course it's gonna be yes. It's not a great gimmick. BUT Mondo was actually a good character, I liked the family drama and the action was stellar this episode.